Being a meticulous and OA mom, whenever I go to the grocery to buy stuff for my kids I'd always #CheckTheLabel to make sure my kids are getting the essential nutrients they need from the products. Though I hate Math, I still check the numbers pertaining to nutrients that is in the box/package. I dont understand the numbers sometimes, good thing there's this one product that makes it easy for me to understand and make sure that my kids get their age-specific nutritional needs - Nido. My mom's trusted brand since I was a kid. Yes, I'm proud to say that I grew up with this milk too! Masarap papakin! Matamis, Malasa. Masustansya! It evolved into different packaging but I believe that it is still packed with higher levels of essential nutrients made especially for children in their crucial growing-up years. 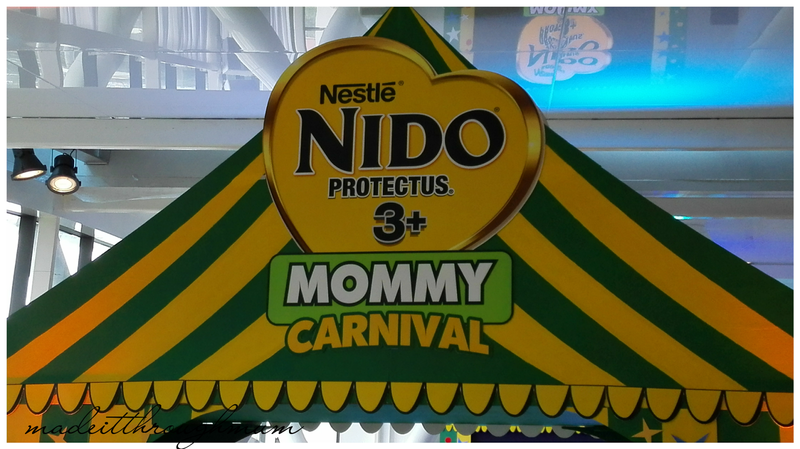 Recently Nido 3+ introduced the new and improved NIDO ® PROTECTUS ® 3+ during the Mommy Carnival event in Century City Mall. With just one look, moms can easily identify and learn about the unique combination of nutrients found in NIDO ® PROTECTUS ® 3+, which contains DHA, PREBIO® 3, Iron, Zinc, and other essential vitamins and minerals that help support his immunity,growth, and development. It also comes with Lactobacillus PROTECTUS ®, now with Lactobacillus rhamnosus, a different strain of probiotics that helps support digestive defenses. The release of NIDO ® PROTECTUS ® 3+ following the launch of the Check the Label campaign is a testimony to the commitment of the brand to support moms who aspire to raise kids who are happy, healthy, and capable of reaching their full potential through their love and support. "We understand the ever-changing needs of mothers for their children, that's why we continuously improve our products. 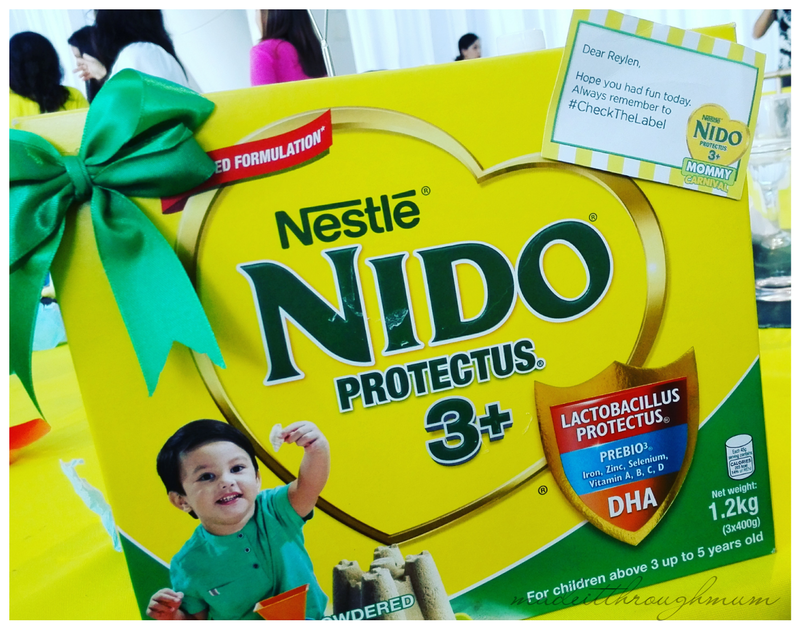 And in line with our advocacy to make checking food labels a habit among moms so they make smarter and healthier choices for their kids, we simplified our pack and made it more informative, " said April Apsay, Consumer Marketing Lead for NIDO® PROTECTUS® 3+. 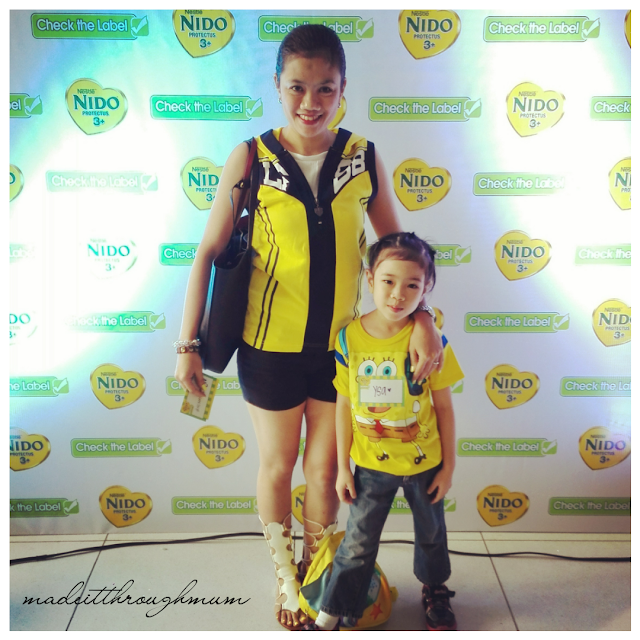 To continuosly remind moms to #CheckTheLabel, NIDO® PROTECTUS® 3+ also recently released a catchy jingle headlined by Sarah Lahbati and son, Zion. Watch the video here. *** NIDO® PROTECTUS® 3+ and NIDO® PROTECTUS® 3+ are not suitable for infant feeding and are not breatmilk substitutes.